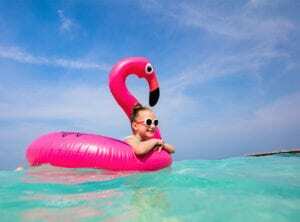 Family holiday in Sri Lanka with kids: Sun, sand, safari and surf! 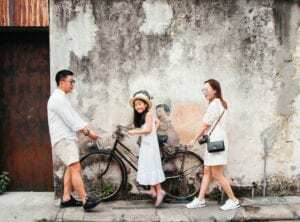 Home | Travel | Family holiday in Sri Lanka with kids: Beaches, safari and surf – the vacay that has it all! 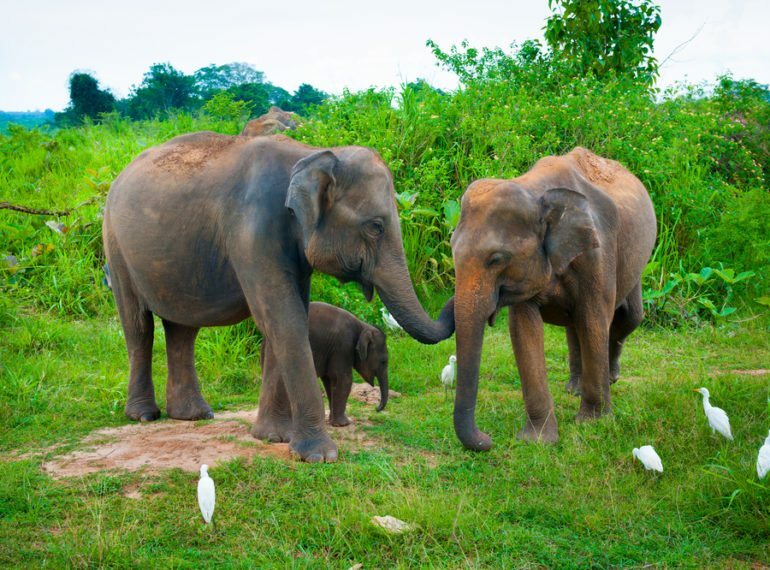 Family holiday in Sri Lanka with kids: Beaches, safari and surf – the vacay that has it all! 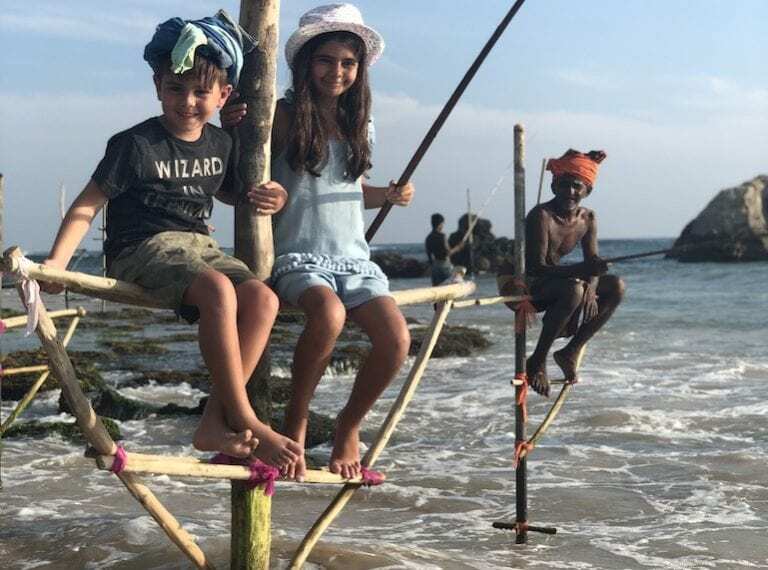 Travelling in Sri Lanka with kids is not only an adventure packed with cool culture, beach bliss, ancient history and weird and wonderful wildlife, it’s also one of the friendliest places on earth. Sri Lankans LOVE kids – and travelling with the nippers guarantees you a warm welcome wherever you go. These guys literally DO NOT CARE if your bubba is wailing in a restaurant, your toddler is smashing up the gift shop, or your teenager refuses to make eye contact when spoken to. They will love your unruly rabble anyway. 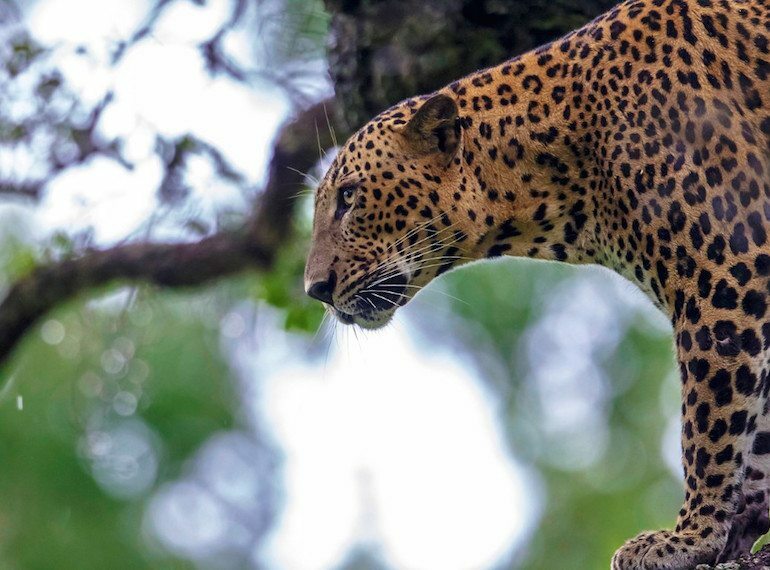 Yala National Park: Head down south to Yala West and catch a glimpse of wild leopards mooching about, quite unfazed by the click of your camera! 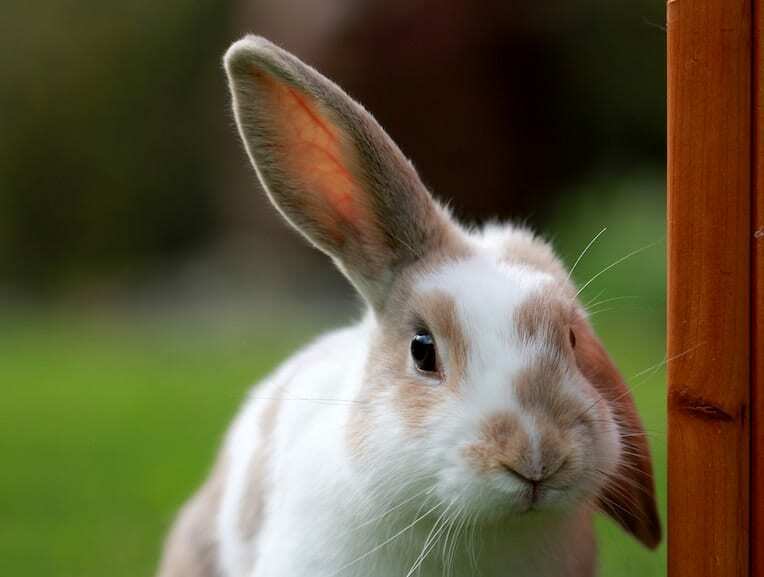 There are around 30 of the cats on site, but also keep your eyes peeled for sloth bears, sambars, deers, buffalo, mongooses, monkeys, jackals and palm civets. When you’re done with the wildlife, relax at nearby Aragam Bay and try a spot of surfing. Uda Walawe National Park: Wild elephants galore! You’d have to be seriously unlucky not to catch Dumbo in his natural habitat, there are over 500 ‘phants roaming wild and free in the area. Sinharaja Rainforest Reserve: If you’re heading to the laid-back beaches of Mirissa, then this nearby wildlife hotspot is definitely worth putting on the itinerary. Birds, birds and more birds, including the red-faced malkoha and Sri Lankan blue magpie, are what you can expect, along with leopards, squirrels, deer and the purple-faced langur. Wilpattu National Park: We’re going on a bear hunt… literally. This park is home of the elusive sloth bear, who you may just spot hiding amongst the ancient bodhi trees. This is also the site of the awesome ancient ruins of the sacred city of Anuradhapura, which makes for an adventure the whole family will love. Instagram frenzy assured. 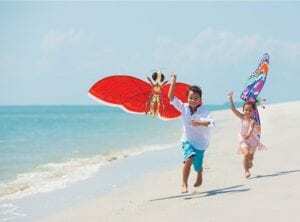 It’s fair to warn you that most of the beaches are a bit of a trek from Colombo, but we promise that once you arrive the endless cries of “Are we there yet?” from the kiddos will be totally worth it. Bentota: Boasting one of the longest and best beaches on the west coast, including the Bentota lagoon, this is one of the prettiest and the easiest stretches of sand to get to from Colombo. 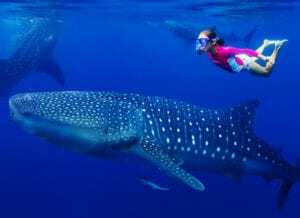 Arugam Bay: Older kids will love Sri Lanka’s answer to Surfer’s Paradise, and you can’t beat the laid back charm of the Arugam Bay area for a relaxing holiday away from the hustle and bustle of the busier resorts. 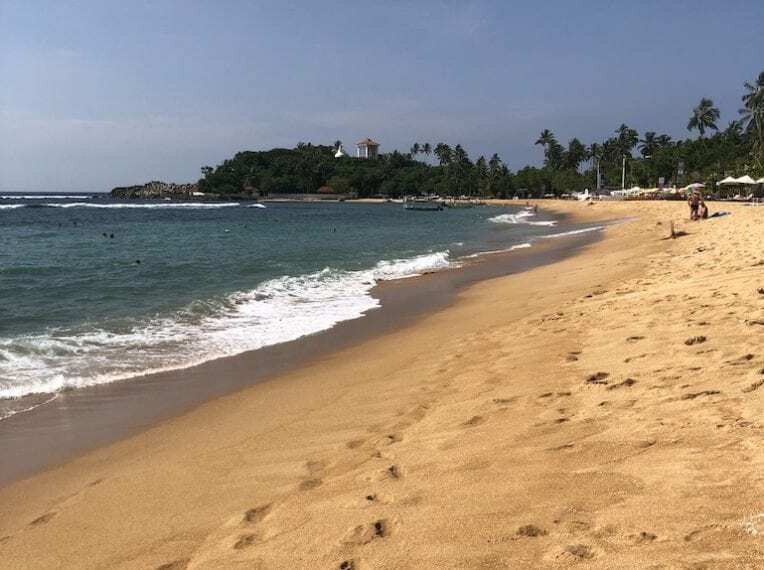 Mirissa: Turquoise seas and golden sands are the name of the game over at Mirissa along with a chilled cafe beach culture and the chance to go whale and dolphin spotting. Head to nearby Polhenna Beach to spot authentic stilt fisherman. Unawatuna: This is where we had not one but two of our own fabulous beach holidays at. A sleepy little town runs adjacent to the beach, and the beach itself is clean, large and makes for the perfect family holiday by the sea. We stayed at the rustically charming Thaproban Beach House for a few nights, and then moved on to its upmarket little but bigger sister, Thaproban Pavilion Resort & Spa. 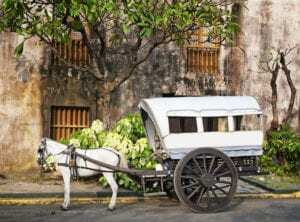 Unawatuna is close to Galle, so do make sure you grab a tuk-tuk for some exploring. Look out for Ranga and his tuk tuk outside the Thaproban Beach House: he’s a true gentleman and will take you wherever you want to go to. We had a fun afternoon out with him visiting a nearby turtle conservation and seeing the stilt fisherman at Koggala. As you’d expect from an island surrounded by the Indian Ocean, seafood is fresh, plentiful and delicious in Sri Lankan cuisine. Try a sour fish curry – one of Sri Lanka’s fave dishes – and chase it down with a side portion of green jackfruit curry. 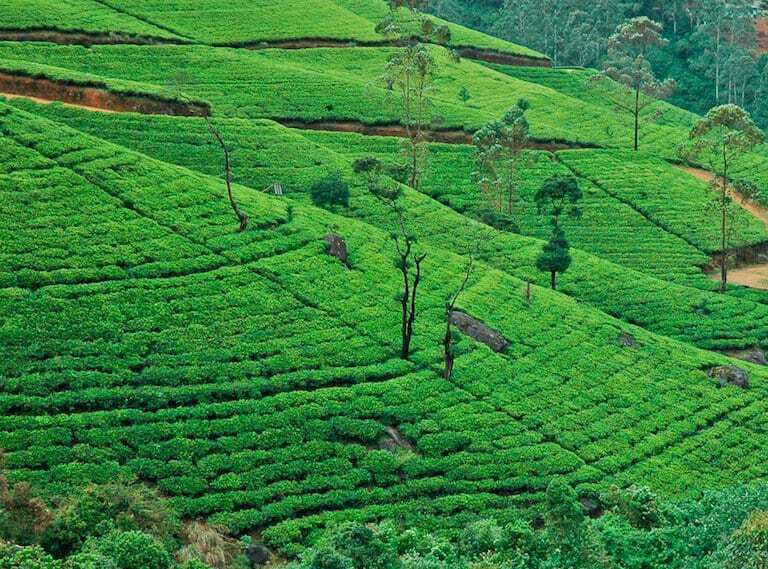 And don’t forget your cup of Sri Lankan tea, picked and brewed in the area. 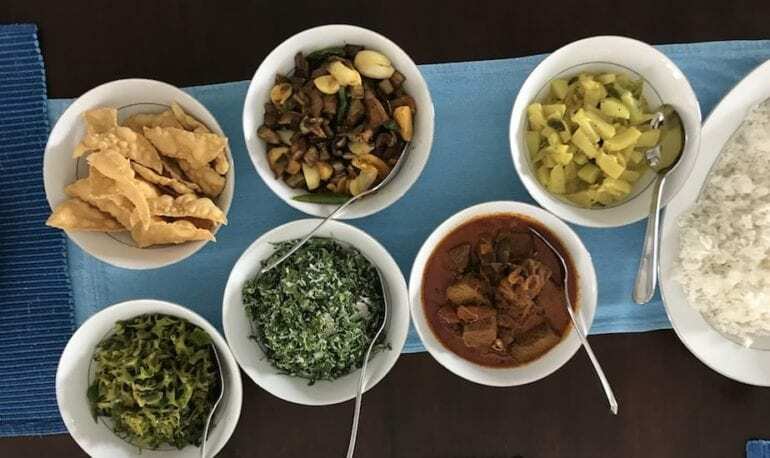 There’s plenty of food on the menu for fussy kids (no matter where you eat, the staff will bend over backwards to serve up something the kids will like), but we say get them to try Sri Lanka’s answer to fast food: kottu. The dish is fried up using stacks of special roti, known as godamba roti, and kids can choose what they want to throw into the mix (we loved the chicken ones). The delicious result is a mix of salty pieces of fried dough and spot-on spices – it certainly knocks the spots off the humble hamburger! Whether you decide to take a train with breathtaking views through the plantations around Tea Country, head to the coast to watch the pole fishermen in action, or take a whale-watching cruise around Mirissa, Sri Lanka is one of those rare gems that happens to be beautiful no matter what part of it you look at. From coastal sea walks and snake charmers in Galle, to the phenomenal 263m Bambarakanda Falls waterfalls in Kalupahana, safari experiences in Yala to sacred relics in Kandy, there’s just way too much to see and do in just one holiday – and we can’t wait to go back to explore more of this stunning vacay destination. 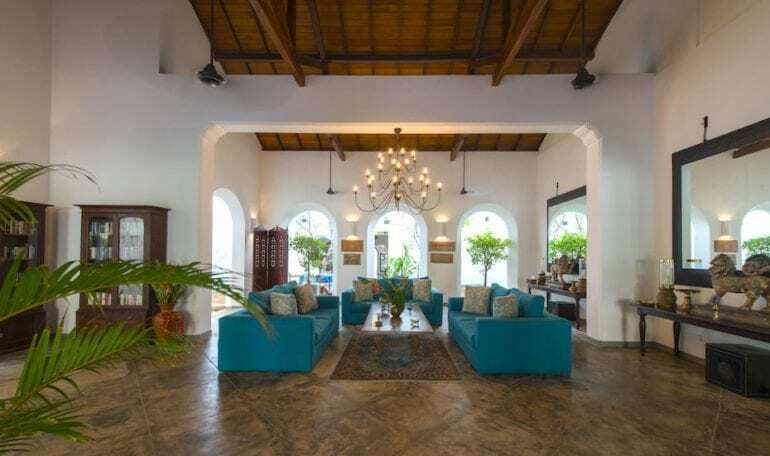 A stunning, heritage property in the thick of the old town, the Ambassador’s House is the ultimate family stay in Galle. Unbelievably generous proportions allow for screaming children at one end of the villa and total peace, quiet and G&Ts at the other. 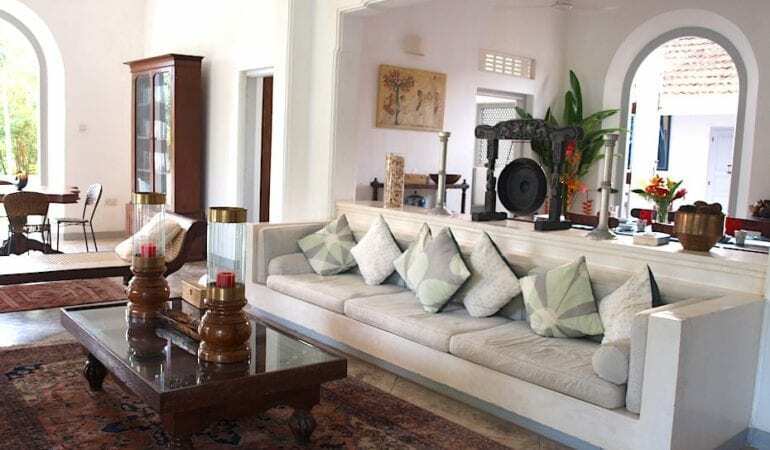 Five bedrooms across two storeys accompany various living spaces including – above all – a dining room where to-die-for Sri Lankan spreads are served up by the in-house chefs. Take us back immediately. You’ll need a little plunge after climbing all over the fort wall. 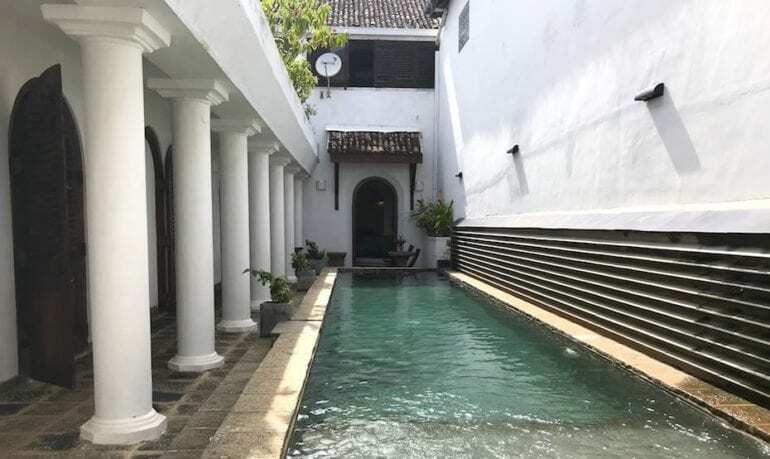 There’s also the perfect, kid-sized pool to throw them (and yourselves) into after a day out exploring the local shops, and chasing the children over Galle Fort. The stately, hilltop Villa Pooja Kanda. 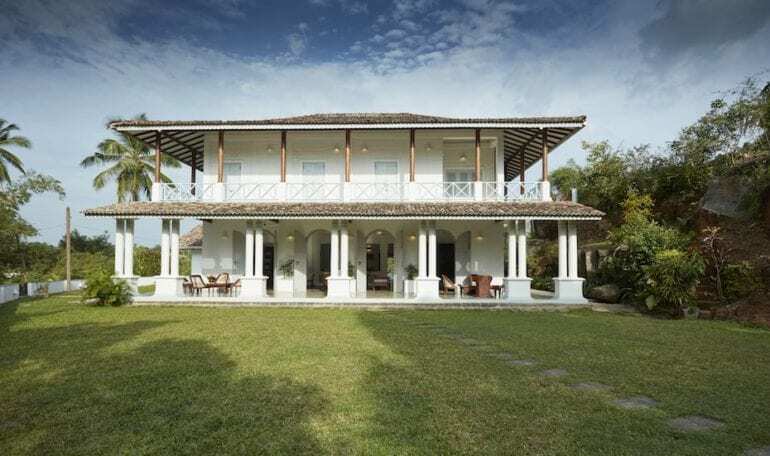 This colonial mansion in the hinterlands of Habaraduwa ticks all the dreamy Sri Lankan holiday boxes: wrap-around colonnaded porches just crying out for a Campari; a sun-soaked jungle-side infinity pool; breezy lounge rooms with daybeds aplenty; treetop views of the surrounding hillsides; and, yes, all-round feasting. Also five bedrooms over two floors, there’s space enough for at least a couple of families to stay – and to escape each other. 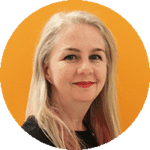 Nothing is too much trouble for the staff team here: whether you need a tuk-tuk to explore the local sights, a delicious seafood BBQ or some forgotten but essential baby equipment, these guys are gold when it comes to service with a smile. 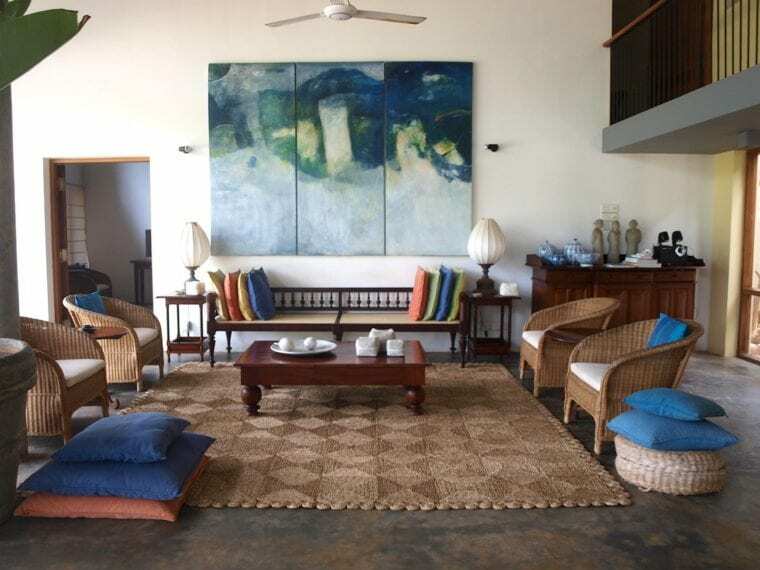 Located in a rural and peaceful village, the villa makes a blissful base for chilling out with the family while still being near to stunning beaches, bustling Galle and the southern tea plantations. 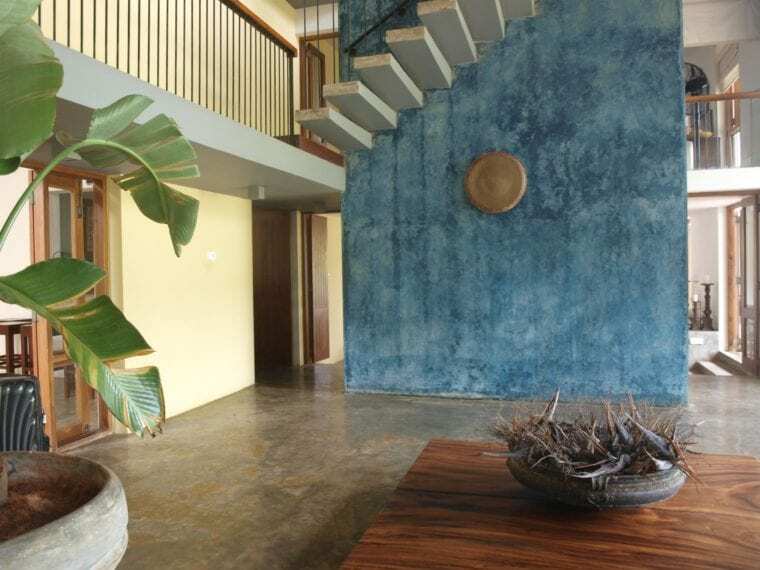 The new kid on the round up, this modern villa is all high-energy feature walls, statement decor and beachside bliss. 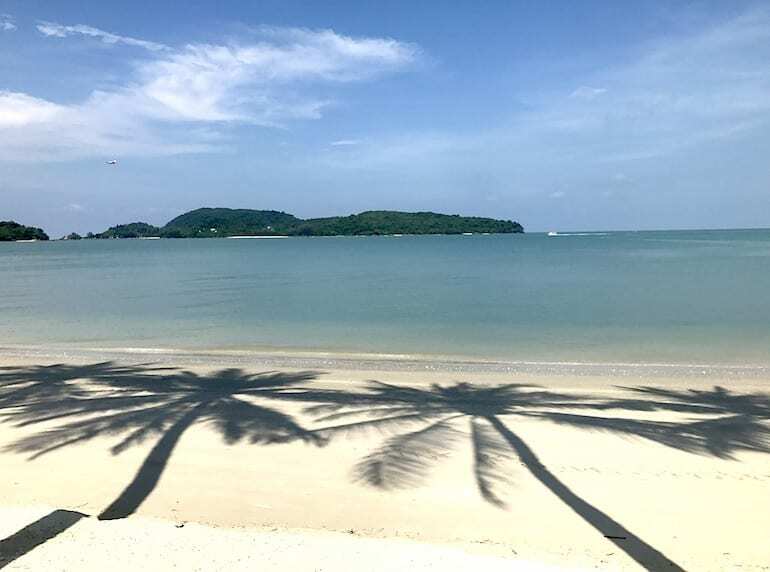 Just a few steps away, Thambapanni Beach is a gorgeous spot with the all-important high-quality sandcastle-building sand: the kind that will keep the kids busy for days. Back at the pad, an enormous media room on the second (of three) floors will keep the kids entertained while you lounge on the lounges and dine on yet more fantastic Sri Lankan spreads. But before all that, head outside to the lovely pool area which has enough sun beds for adults to watch the kids from, and enough pool for the kids to leave the adults in peace. Perfect.